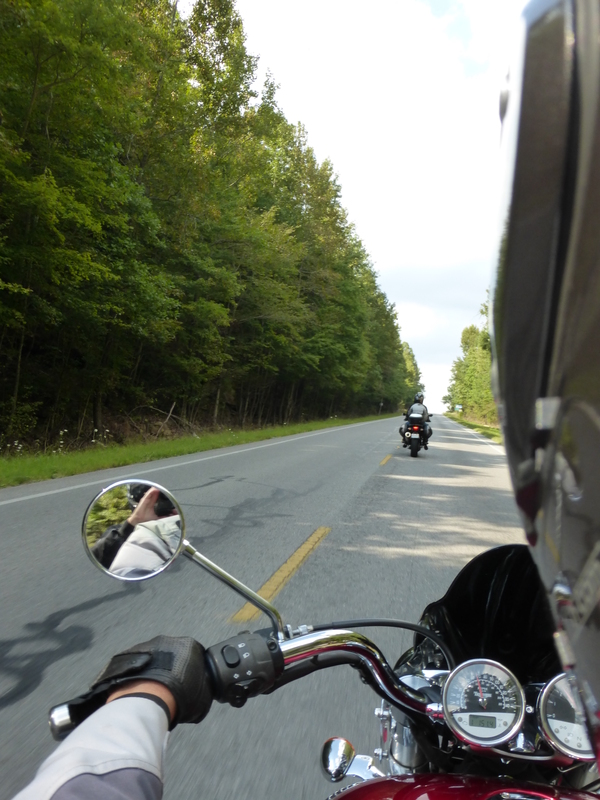 Yesterday we were motorcycling in Alabama. Thanks to the generosity of a fellow biker, we were able to ride a Triumph through some of the hills and back roads. Few of the leaves have changed colors, so we were met with lush green most places we went. I kept thinking how much I always enjoyed the verdancy of the mid-west and southern states and realized I had been given my “green fix” on this weekend ride. It was a great day!